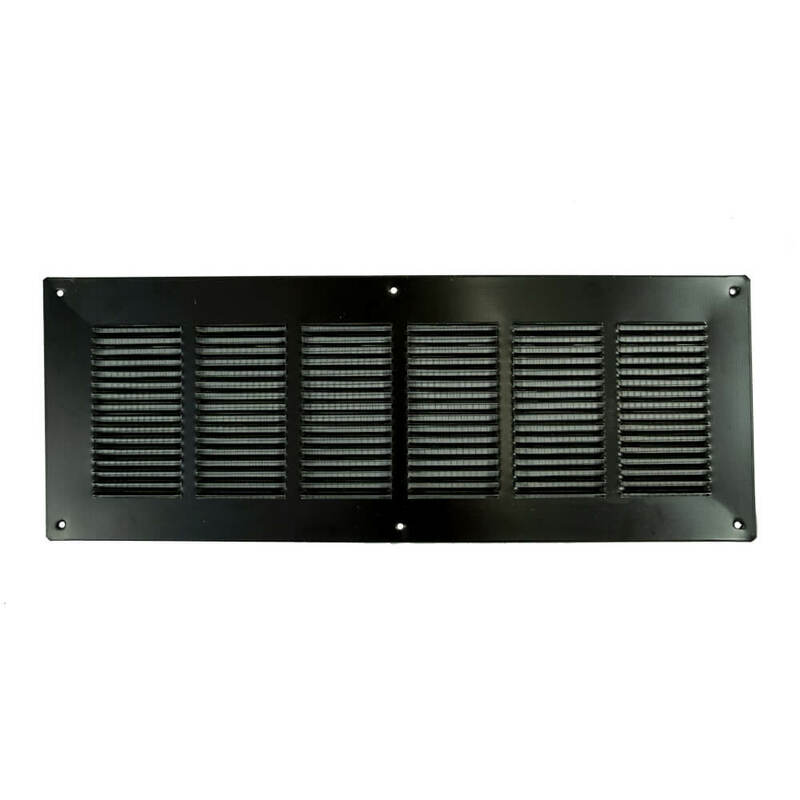 The FAMCO VP Louvered Foundation Vent – Painted promotes free air movement in a crawl space or attic installation. Made with a hemmed edge for strength. Quality constructed in 28 gauge Galvanized steel. 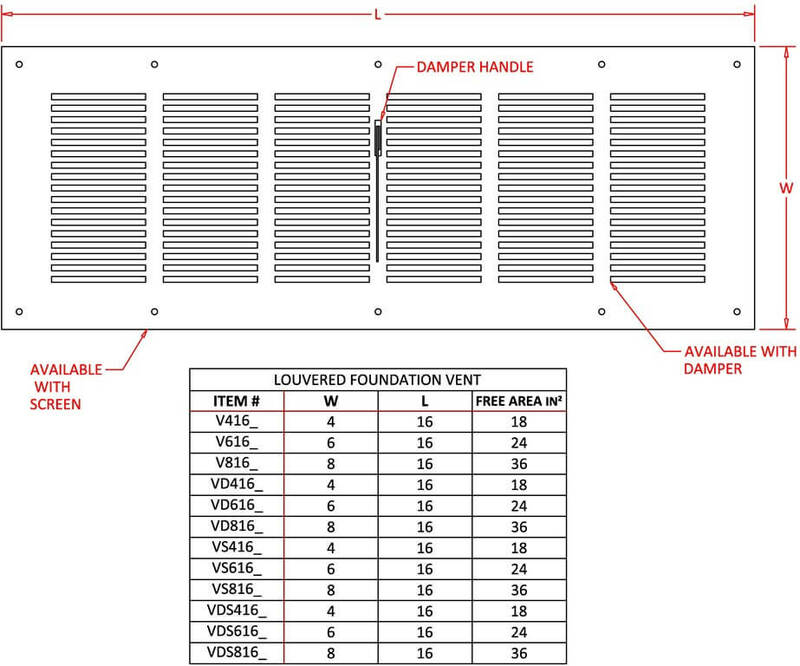 The FAMCO VP Louvered Foundation Vent – Painted is available in three sizes; 4×16 inch, 6×16 inch, 8×16 inch, and includes a large mounting flange. 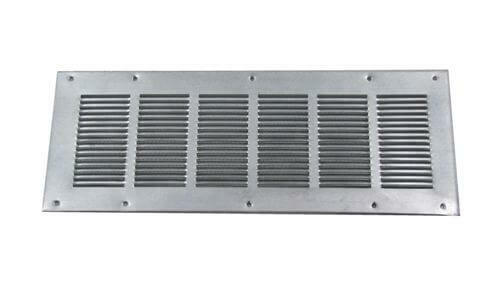 The FAMCO Louvered Foundation Vents are sold in 5 pieces per box. 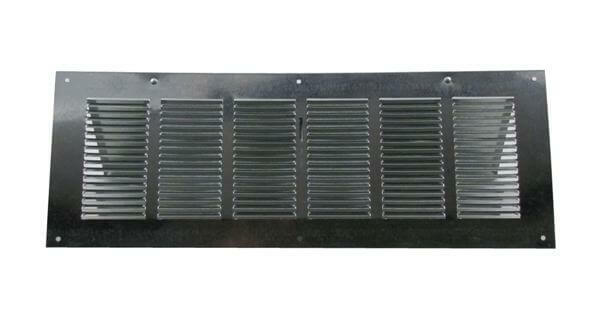 The FAMCO VP Louvered Foundation Vent – Painted is manufactured by FAMCO in the United States and comes with a 1-year warranty against product defects and workmanship. If you have any questions about this product or the materials and features variations available, please refer to the FAQs above or feel free to contact us by phone or email.